Walking through a field of wildflowers, the moon shone over the waters at the bottom of the Tara River Canyon and lit the path to the evening's guesthouse where our host was preparing dinner. As we waited to take our seats at the table, I sat with a guide on a tree stump fashioned into a table, discussing the day's hike over the bottle of homemade regional brandy—rakija. I’m on the Via Dinarica trail—a hiking trail and cultural corridor spanning 1,930 kilometers across the Western Balkans, where I’ve volunteered my time helping with their social media, so more travelers like myself can experience what it’s like to take a truly sustainable and environmentally conscious vacation. Done right, long-distance hiking mutually benefits both the traveler and the local. When tourists skip international hotel chains in favor of the mountains huts of national parks or village guesthouses, local economies can flourish. Travelers are able to immerse themselves in the destination, and villagers benefit financially from their overnight guests. Via Dinarica has proven a successful sustainable travel option since it began in 2010 as a means of bringing tourism to rural villages. Following the Dinaric Alps and crossing the borders of eight countries—Slovenia, Croatia, Bosnia and Herzegovina, Montenegro, Albania, Kosovo, Macedonia, and Serbia—the trail builds bridges for regional cooperation in tourism, economic gains, and positive environmental influence, while also preserving culture and heritage. Sustainability is more complex than just taking the road less traveled. Via Dinarica and the tours along the trail embrace the complexity that is sustainable travel by creating tours based on how they impact a multitude of people—travelers, guides, and locals—economically, environmentally, and culturally. To ensure this positive impact can continue, the companies must act wisely and in such a way that the trail and those affected by it can continue to host travelers. Most importantly, Via Dinarica gives locals in remote areas access to income from tourism. Thierry Joubert, a founding member of Green Visions, the tour company representing Bosnia and Herzegovina within the official Via Dinarica Alliance, says that the project will increasingly benefit rural economies as more locals take advantage of the business opportunities presented by an influx of hikers. "We [Green Visions] invite operators within the region to participate in Via Dinarica to impact more rural people along the trail,” he says. “I have a more laissez faire approach so we can discuss the concept of Via Dinarica and allow people to participate so that it grows." From sleeping in a mountain hut at the base of a natural amphitheater in Montenegro’s Durmitor National Park to drinking rakija at a guesthouse overlooking Europe’s deepest river canyon, trekking the Via Dinarica is a stunning experience rarely found in modern day travels. "The trail is sustainable in that it brings money into the local economies by staying with locals in villages. This is the only way long-distance hiking on Via Dinarica can be done other than camping in a tent," says Evelin Balta, a Green Visions guide. Balta also notes, though, that there are downsides to sending people trekking through rural areas. “There is some environmental degradation,” he says. 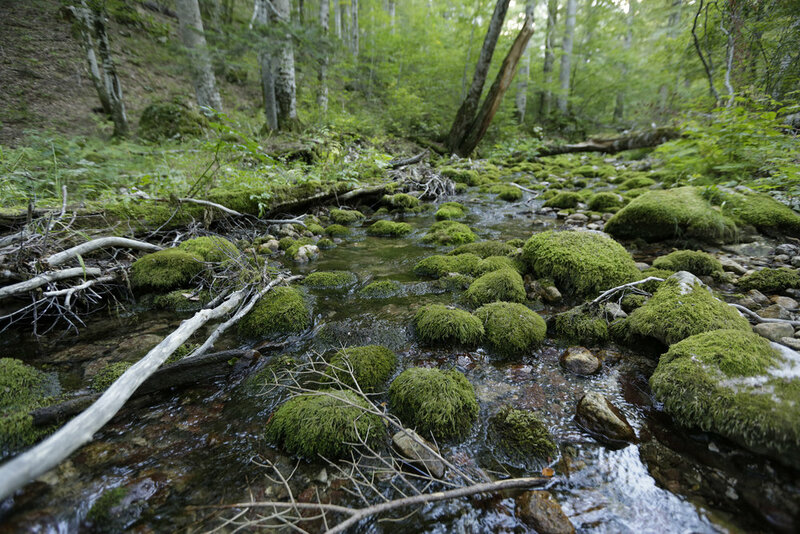 To combat environmental concerns, Green Visions established Eko Akcija, a nongovernmental group focused on preserving protected areas in Bosnia and Herzegovina. Green Visions also encourages travelers to pack light and caps tour groups at 15 people. By limiting the number of people on the trail at one time, damage to the trail is minimized. On the trail with Balta serving as our translator, Dragan, the guesthouse keeper above the Tara River Canyon, tells me, "I had a vision to do something up here related to tourism. Tourism is the only way to keep this place alive. No one wants to live here year-round because it is so remote. I wouldn't be here, in the home where I was born, without the hikers." By sharing his tradition and culture with us, Dragan put a face to the positive impacts of sustainable long-distance hiking for our roving group. Just as slow travel by foot stimulates the economic and environmental integrity of the naturally connected villages, long-distance trekking also serves to preserve local heritage and culture. 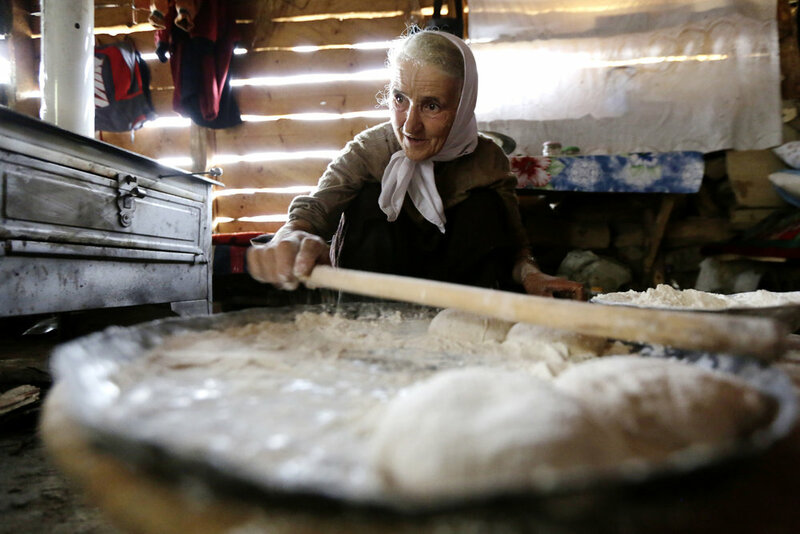 From preparing meals together to enjoying traditional Bosnian coffee, guests experience authentic culture not as it once was, but as it thrives daily. The experiences are not antiquated practices trotted out for entertainment, but the real, shared lives of locals. Travel becomes fully immersive when hiking remote paths and enables real connections between hikers and villagers. The problem is that today’s travel industry is full of buzzwords that often go no further than their marketing and social media platforms. Travelers are increasingly forsaking fancy five-star hotels for niche vacations to smaller and more rural communities, and long-distance hiking has grown as a travel trend for adventurers and luxury traveler alike. But though it’s easy to assume all long-distance hiking lives up to the buzzwords like “ethical,” “sustainable,” and “eco-friendly,” these picture-perfect vacations don’t always benefit anyone or anything beyond the traveler’s social media, and require work and research to do the trip right. If you’re planning a sustainable, long-distance hiking trip without a guide, plan ahead and seek out locally owned overnight accommodations. Mountain huts and national park hotels can be reserved ahead of a trip. Many tourism operators are happy to make suggestions even if a tour is not booked through them. No one knows a destination like a local; therefore, their insight and recommendations are invaluable. Remember to research local history, and flora and fauna before striking out alone. Understanding what to look for along the trail will provide more depth to the hike as you drink in the beautiful views. Some trails, like Via Dinarica, have gone digital and offer apps with overviews and reviews of each stage with GPS coordinates. As always, leave no trace whenever you visit a new place. “Mega-hiking” trails such as Via Dinarica may be among the most rewarding travel experiences that exist in the age of social media-influenced travel. Apart from economic and environmental successes by way of responsible operators on the trail, long-distance hiking has become a means for continuing tradition, culture, and remembering the people and events of the past. While the motive may be doing good by locals or simply bagging peaks, long-distance hikers just might receive more than they give. What If Your Vacation Could Be a Way of Giving Back? A Tale of Two Struggling Countries, Does Tourism Help or Hurt?